A sauna is surely a modern day concept, as it they are made keeping in mind the various needs of people. However, regardless of how tempting it is to get a sauna to give your home that special touch that would add a considerable amount of value to it, getting a sauna is quite expensive. Hence, you need to be absolutely sure about the sauna you plan to get and the features it comes with, failing to which might result in a considerable amount of money being spent on something you never needed. However, it’s not just about the specific type of sauna, but the manufacturer as well, when it comes to doing your research while deciding on a particular sauna. There are some top brands out there in the world, which have a worldwide presence and are quite reputed, meaning that you can be sure of the quality and authenticity the come with. Almost Heaven is one such manufacturer, who has been surprising the market by producing saunas that come with an unmatched design and innovation. The AHGDV71RC 6-Person Grandview Sauna it offers, however, goes an extra mile by being one of its best one ever. In fact, it’s also the largest and grandest of all of its saunas, so that’s surely something to brag about. Well, Almost Heaven is already known for offering great quality saunas that never fail to carry a touch of innovation, modern design and high level of spaciousness. However, the AHGDV71RC 6-Person Grandview Sauna is believed to be one of the best works of this manufacturer, which is surely something of a great significance. 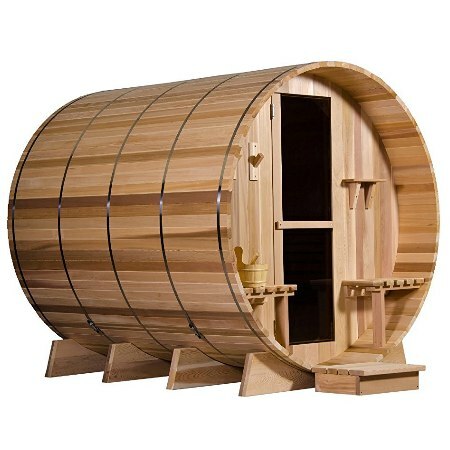 In fact, this sauna is indeed the largest and most deluxe one ever product by Almost Heaven, coming with a diameter of 78”, which is 12” larger than almost all of its standard models. 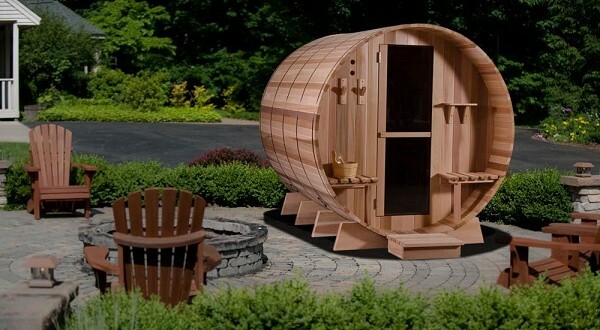 This means quite a lot of space and hence helps it stand out from the lot as probably no sauna offers to sit as many as 6 people as comfortably as this sauna does. Being an outdoor sauna, the AHGDV71RC 6-Person Grandview Sauna allows you to enjoy all the benefits and advantages a standard and high quality sauna comes with without blocking any space in your home. In fact, it instead increases the overall attractiveness of your home’s surrounding, by being a point of attraction outside your home. The AHGDV71RC 6-Person Grandview Sauna is ideal for placing in the backyard, as it’s quite large and would suit the environment of the place. The sauna indeed seems to be the best one from Almost Heaven, as it comes with a long list of features one would only be too delighted to have in their sauna. The AHGDV71RC 6-Person Grandview Sauna comes with a lot of useful and expensive added accessories, meaning that you won’t have to spend a penny on anything else. All its materials are super high quality, and the lifetime warranty the manufacturer offers shows that they too are quite confident about its durability. Summary : The AHGDV71RC 6-Person Grandview Sauna comes with a lot of useful and expensive added accessories, meaning that you won’t have to spend a penny on anything else.